[by Earl Blacklock] Robert Todd Lincoln was a witness to some of the most momentous moments of American history. As Secretary of War under President James A. Garfield, he witnessed Garfield’s assassination at the hands of Charles Guiteau. He was Minister to the Court of St. James (U.S. Ambassador to Britain) under President Benjamin Harrison. He succeeded George Pullman as the President of the Pullman Palace Car Company in 1898 and, at the invitation of President William McKinley, he was at the Pan-American Exposition in Buffalo when McKinley was gunned down by Leon Czolgosz. Despite his lifetime of achievement, however, it was his record of failure which was, perhaps, his greatest contribution to history. Robert Todd Lincoln was the first son of Abraham and Mary Lincoln, and the only one to reach adulthood. In 1859, he set off to attend Harvard College in Cambridge, Massachusetts, but his preparatory work was found to be deficient – Robert failed 15 of the 16 subjects in which he was examined. His parents decided to enroll him in Philips Exeter Academy to bring his academics up to par. Abraham Lincoln had dabbled in politics for a number of years, serving terms at the state and national level. He was involved in the famous Lincoln – Douglas debates over slavery. By the time Robert entered Phillips Exeter, however, his father’s involvement in politics was limited. He was an attorney in Illinois, and family finances were limited. Although Robert seemed to be doing satisfactory work, his father decided it would be prudent to go east to encourage his son and to see first hand how he was doing. To finance the trip, he gave a series of lectures, and it was at one of these, in New York, where he was heard first hand by influential men such as Horace Greeley, editor of the powerful Tribune newspaper, who played a key role in his nomination and election as the fledgling Republican Party’s candidate. Chance had still another role to play in Lincoln’s nomination. The putative candidate was William Seward and, had the nomination vote been taken as scheduled on Thursday, it is thought he had enough support to win. But the vote did not take place until Friday because the printer did not arrive with the ballots on time. 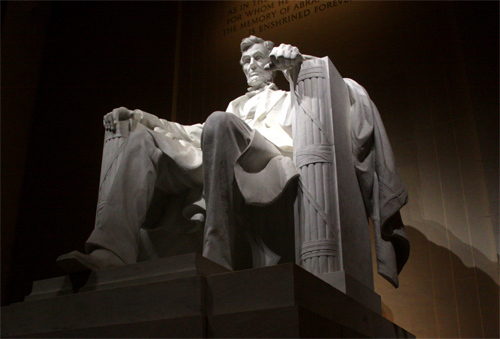 Overnight, Lincoln’s support coalesced, and he won the nomination. Writer Bruce Barton once described human history as “illogical, jerky, full of surprises”. The description is apt. For Christians, there is little need for concern, however, for God has promised to involve Himself in human events to ensure their well-being. “For I know the plans I have for you,” declares the Lord, “plans to prosper you and not to harm you, plans to give you hope and a future” (Jeremiah 29:11).